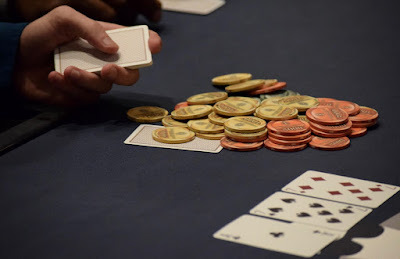 222 entries after just one level in today's final starting flight of the $500,000 Guarantee @WPTDeepStacks Main Event, the largest guarantee ever offered @Thunder_Valley for an $1,100 buy-in. Grand Opening celebrations for @TVPokerRoom have been spectacular so far, and the turnout today only adds to the excitement. Start with a 25,000 stack and play 40-minute levels today, wrapping up with the Bag-n-Tag at 11:45pm. There's an hour-long dinner break at 6:30pm and the final opportunity to buy in to the Main Event closes at 7:30pm when Matt Savage, Ben Erwin and JohnQ put cards in the air to start Level 10.